Episode 4 – In Sheep's Clothing is out now for The Wolf Among Us. Bigby Wolf (the fairytale formerly known as The Big Bad Wolf) is closing in on the Fabletown serial killer. Or is he? I'll be honest, by the end of episode 3, it wasn't looking great for either 1) the murdered people, or 2) the sheriff trying to stop the guy murdering people. After this one, there's only one episode left. It's not like this series tops the first season of Telltale's The Walking Dead, but it reaches a new pinnacle for the adventure game developer—and for adventure gaming as a whole—in wonderful ways. The Wolf Among Us: Episode 4 – In Sheep's Clothing is on PC, Mac, and PlayStation 3 today. It'll be on Xbox 360 tomorrow, May 28. And on iOS devices later this week. SAN RAFAEL, Calif., May 27th, 2014 -- Leading developer and publisher of digital entertainment, Telltale Games, in cooperation with DC Entertainment, today announced the release of 'In Sheep's Clothing,' the fourth of five episodes of The Wolf Among Us, licensed by Warner Bros. Interactive Entertainment. The episode is available now on the PlayStation®Network in North America for PlayStation 3, on PC and Mac worldwide from the Telltale Online Store, and other digital outlets, including Steam. The episode will be available Wednesday, May 28th on Xbox Games Store for Xbox 360® video game and entertainment system from Microsoft worldwide. It will also be coming to the App Store as an in-app purchase for compatible iOS devices later this week. Previously in their review of the series' third episode, 'A Crooked Mile,' Gamespot commended its "unrelenting tension," claiming that its, "overall consistency and expert pacing ensured my uninterrupted attention." IGN.com gave the episode a 9.2 'Editor's Choice' review, saying, "It's a smart, brutal, and emotional episode that pushes the story forward and fleshes out nearly every player on the board," also adding that, "A Crooked Mile represents a new high point for the series." The Escapist gave the episode a 5 out of 5 perfect score, saying it has, "a wham-bang climax that sticks in your craw." Nerdist also claimed that the finale, "will leave you breathless, reeling from a shocking new encounter with a new, even more dangerous adversary." The Wolf Among Us: Episode Four - 'In Sheep's Clothing' is rated 'M' (Mature) for Violence, Blood, Strong Language and Use of Tobacco by the ESRB. 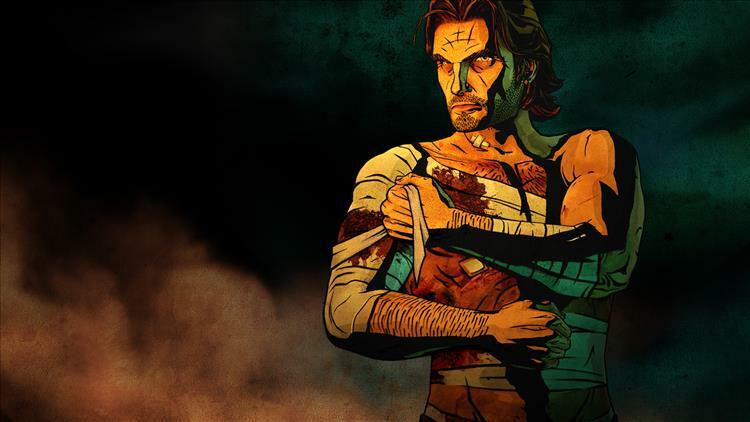 Content for future episodes in The Wolf Among Us has not yet been rated by the ESRB. For more information on the game, visit the official website, Facebook, and follow @telltalegames on Twitter.